Bishop Daniel Delany had a great love for the Blessed Eucharist, it formed the foundation for all of his undertakings. This devotion enabled him to fearlessly introduce public veneration of the Blessed Eucharist during Corpus Christi processions, when such processions were forbidden during the long, dark Penal Years when the Irish people were denied human and religious freedom. 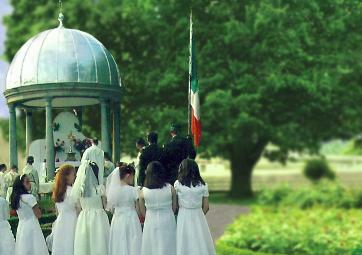 These processions filled a void in their lives. He left us this great legacy of love � the Blessed Eucharist. 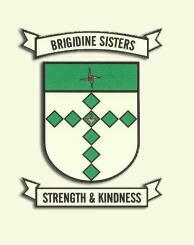 For two centuries it has formed the foundation stone of Brigidine Spirituality. Bishop Delany was a Celt and these people had an extraordinary sense of the presence of God. They were pilgrims and journeyed often; they were well known for their hospitality, respect for the earth, and the elements that surrounded them. They loved silence and solitude and the inner peace that that stillness brought. The Celts were strongly united with the natural landscape and the changing seasons, it was in and through nature that they saw a universe ablaze with God�s glory. (Sr. Mary O�Riordin, CSB, Dublin).